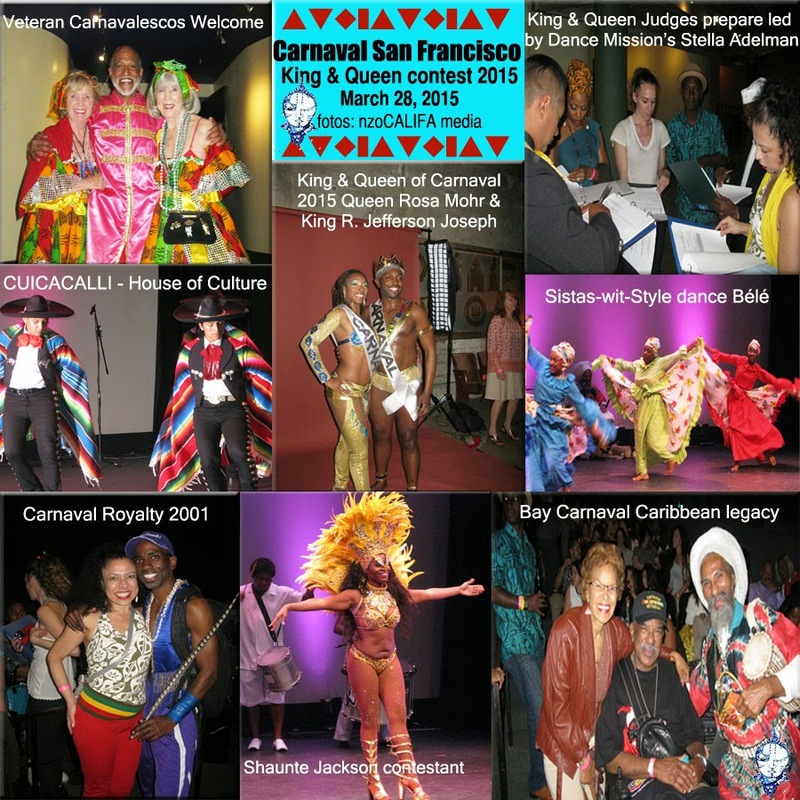 The 2015 launch of the Carnaval San Francisco King & Queen competition was a FULL house filled with various contingents from throughout the Bay Area, South Bay and Peninsula, bejeweled with Carnaval Royalty past and legends present. The evening was filled with alegria as 16 contestants put forth their best presentation in hopes of gaining the crown. Cultural dances from Brazil, Trinidad & Tobago with popular Salsa combos, to Carioca foot works and dare one Vogue! Live Drums filled the Theater with Batala San Francisco and Carnaval Producer Roberto Hernandez commanded the crowd's attention chanting "no eviction" in the Mission. I would have loved to the sistas-wit-style piece! !